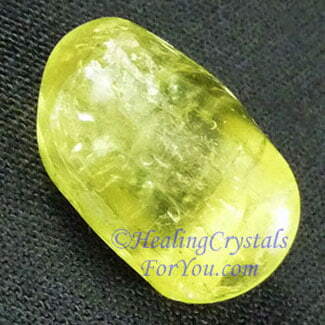 Yellow Apatite has a bright and stimulating energy that can help your life in many ways. 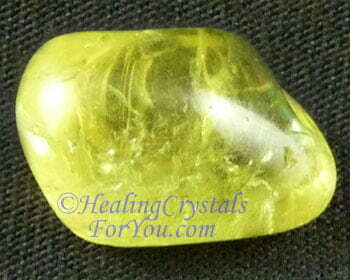 The properties of this sunny yellow crystal make this a wonderful stone to promote prosperity. 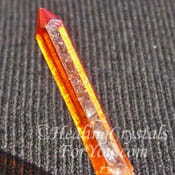 Its action within both the third and second chakra is an excellent aid for helping weight loss. 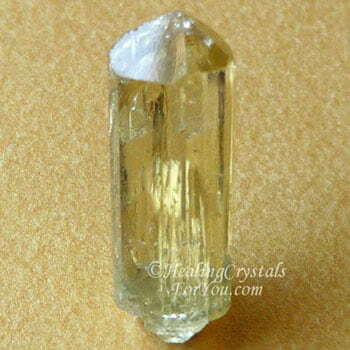 The energy of the color yellow makes this a helpful manifestation crystal. It will enhance manifestation, and its action activates the solar plexus, also known as the seat of the will. This vibration may aid you to strengthen your willpower, and may also help you to become more assertive and confident, and its energy may aid you to discover what you really want in life. 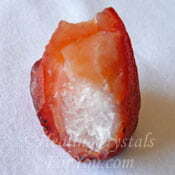 It is a fire element stone and has strong metaphysical properties that strengthen mental clarity. This stone has been found in a number of locations, including Brazil, Russia, Norway, Canada, Mexico and the USA. Its crystal system is hexagonal. 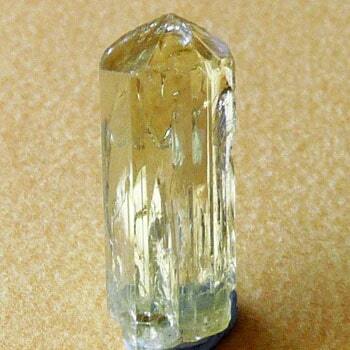 The meaning of the name Apatite comes from the Greek word 'apatao', meaning to deceive. 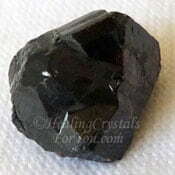 The reason for this name is that it is commonly mistaken for other stones. 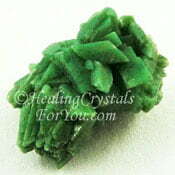 The yellow variety of Apatite is often sold as Golden Apatite or Green Apatite, but Green Apatite is actually different metaphysically. 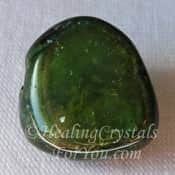 Although this depends on the exact color of the stone, many of the pieces of Green Apatite stone that are being sold are bright yellow, and the crystals may be gemmy and prismatic or in a massive form. Why Would You Use These Yellow Ray Crystals? 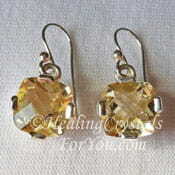 These bright yellow crystals embody the metaphysical properties of the color yellow. 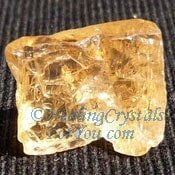 They are one of the authentic, pure crystals of the yellow ray, and they embody within them all of the strength of this amazing, highly energetic yellow vibration. It is known as one of the foremost stones of the yellow ray, and its easy to see why, when you see the beautiful bright yellow color of Yellow Apatite stones. 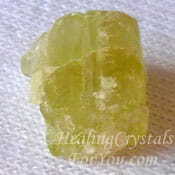 The yellow ray carries within it a strong vibration that enhances confidence, your strength of will and mental clarity. It also works through the sacral or navel chakra, where you digest any new things, such as ideas that are introduced into the body. 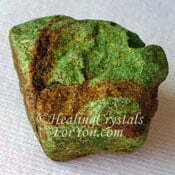 This is a stone that aids an increase in abundance, and carries a strong vibration for manifestation. It helps you to become more, and aids you to break through your own self imposed limitations. These crystals encourage good vibrations within your life, as they have a positive and encouraging energy that imbues you with feelings of comfort and loving support. 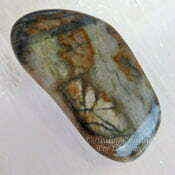 This stone is highly stimulating to the metabolism as it is a fire element stone, so this may help you to lose weight. 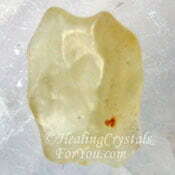 Its healing vibration within the solar plexus, helps to remove stagnant energy and may improve your digestion. 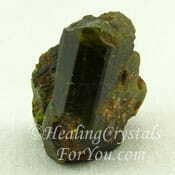 The energy of Golden Apatite aids the liver, gall bladder, pancreas and spleen, and has a strong detoxifying action. The action of its vibration within the body helps to remove cellulite. As this is released, sometimes you may find that anger has been stored within the tissues, and this may also be released into your energy field. The vibration of Golden Yellow Apatite helps to neutralize any anger, as well as to infuse you with greater self confidence and courage. It also enhances your feelings of self-worth, and it will help you to have a more positive and enthusiastic outlook on life and may help you overcome shyness. It is said to boost the immune system and may be able to treat chronic fatigue, lethargy and depression, and it may aid you to release feelings of inadequacy, or shame. The effect of any exercise you do is strengthened by its vibration, and it will benefit you by elevating the amount of energy available to you generally. There are two powerful ways to use this stone. 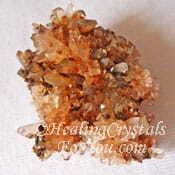 The first way to make use of Golden Apatite is to meditate with it. 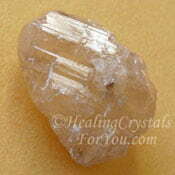 It is a good stone to use in your daily crystal meditation as it is a stone of insight. During meditation with it, you may find that it may stimulate ideas that will help you to do what you need to do to succeed. 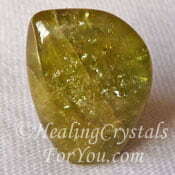 Yellow Apatite will help you by enhancing your strength of purpose, so that you can follow through with your ideas. 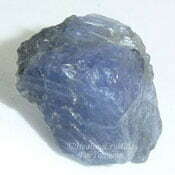 The sacral or navel chakra is the location in your body where creativity is birthed, and Yellow Apatite is a positive stone to aid you to enhance your creativity. It clears mental confusion so that you can more easily decide what is right for you. The second way to use it, is to keep it on your body for as long as possible each day. By also placing a piece under your pillow at night, you will make the best use of its vibration, as it will stimulate your system while you sleep. 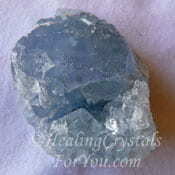 Even a small piece of the stone will have a positive effect to aid you. If you cannot get it in jewelry simply keep a piece in your pocket where its vibration will transmit to your whole body. Yellow Apatite stones are positive little nuggets of energy, that are a wonderful aid to send positive energy into your auric field. 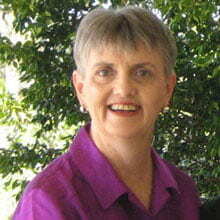 They will assist you to create ideas with the potential to help you to bring your dreams into reality. They aid you to follow Divine will and to know when what you are thinking about is in your best interest. Their vibration is very positive and this energy will assist you to act upon those ideas and to manifest a successful outcome. 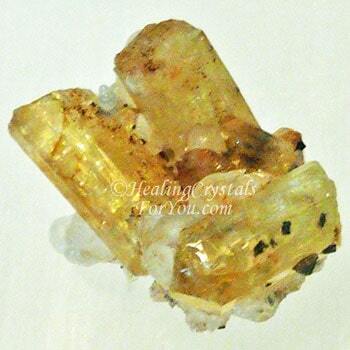 While they are not common, it is possible to buy beautiful pieces of jewelry made from this lovely yellow crystal, and this makes it easy to keep the stone within your aura during the day. 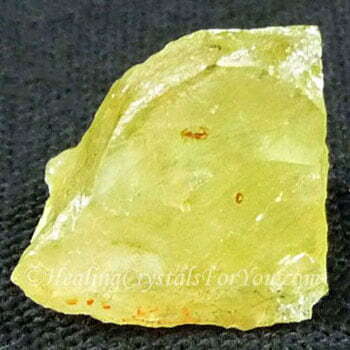 How Will Yellow Apatite Help You? Like all yellow or golden stones, this is a strong manifestation stone. 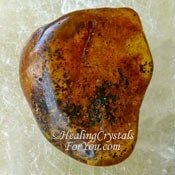 This yellow stone is useful to boost the manifestation of money or other forms of prosperity that you feel are desirable in your life. 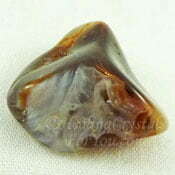 It is a helpful stone to heighten your individual attraction or appeal, and it may assist you to develop inspired ideas. 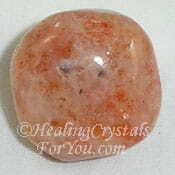 It is an excellent stone to boost learning abilities, and this specifically applies to learning how to manifest. This makes it a favorable adjunct when you are starting a new business, and need to develop ideas to make it financially viable. 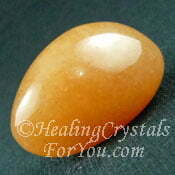 Like many yellow stones, it has a male or solar vibration. 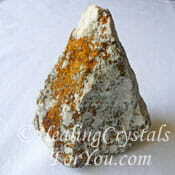 The vibration of this bright yellow crystal works most effectively within the solar plexus and the sacral chakra. Once you begin to assimilate its vibration, it may have a strong effect on your willpower. The best way to do this is to keep one of the stones on you for as long as possible each day. "Confidence, like art, never comes from having all the answers, it comes from being open to all the questions." Earl Gray Stevens. 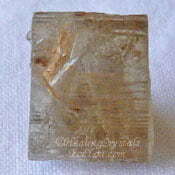 To aid manifestation, and specifically to manifest money, use it in combination with Golden Yellow Citrine, as like most varieties of quartz they also have excellent properties and a strong vibration to amplify energy. To enhance mental clarity combine it with Blue Azurite, Sphene, also known as Titanite, Sunstones, Celestite, Pietersite or Yellow Citrine. 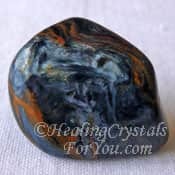 Its vibration will aid other stones to give you better results, so it is helpful to use it if you are working on any issue at all as it may aid a variety of stones. 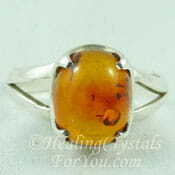 You may combine it with both solar plexus and sacral chakra stones, particularly the golden and yellow stones. 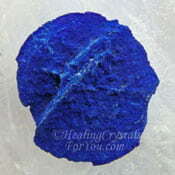 For enhancing your creativity, use it combined with any of the other strong creativity stones. Crystals such as Peach Aventurine, Orange Zincite, Orange Sardonyx, Orange Calcite, Golden Labradorite, Orange Creedite, Orange Carnelian, Brazilianite or Amber Stone. To enhance its weight loss vibration, use it other crystals that aid weight loss, such as Epidote, Green Heulandite, Picasso Marble, Iolite, Gaspeite, Cerussite, Diaspore, Ethiopian Opal or Green Tourmaline. 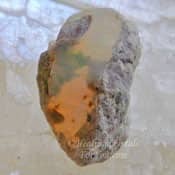 More good stones to combine with it to aid manifestation includes Fire Agate, Libyan Desert Glass also known as Libyan Gold Tektite, Sunstones, Amber, Cinnabar, Golden Topaz, Cassiterite and Chalcopyrite.